Unfortunately, I wasn’t able to top the theatrics of Day 1 and Day 2 in Tokyo, but Day 3 still had its own unique charms. 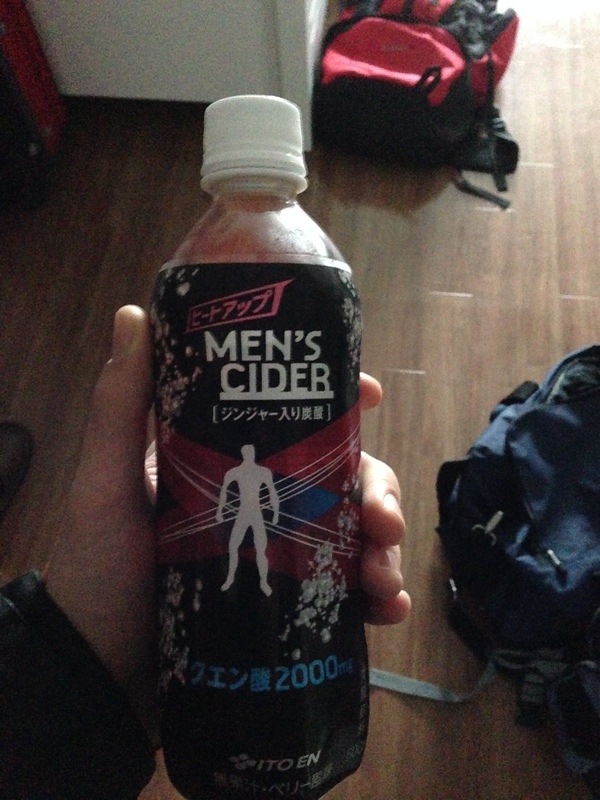 For example, I started the day off with a more modest breakfast at the convenience store which consisted of some general snack cakes, and a drink that I’ve never seen before: men’s cider. It looked intense, so I decided to give it a shot. It was delicious since it tasted like some sort of pomegranate soda. It gave me the energy to venture forth for another long day of sightseeing which I thought would have culminated in lunch with the yakitori specialists at Toriki, but unfortunately they were only open for dinner at 5:30. 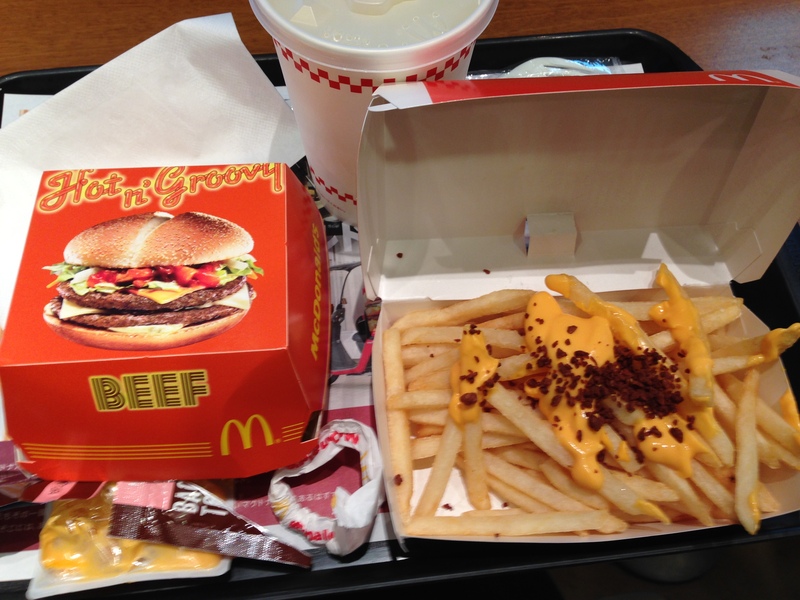 Crestfallen, I went on the search for the Pokemon Center in southern Tokyo, and along the way decided for lunch to see what sort of wacky Japanese adapatations McDonalds integrated into their menu. I was extremely disappointed. I got a burger that had some type of chili sauce along with bacon cheese fries which I only got because they were part of a meal and don’t exist in American McDonalds. I need not go into further detail with this pedestrian meal. Thankfully, the ignominy of lunch was quickly erased with my dinner and dessert. 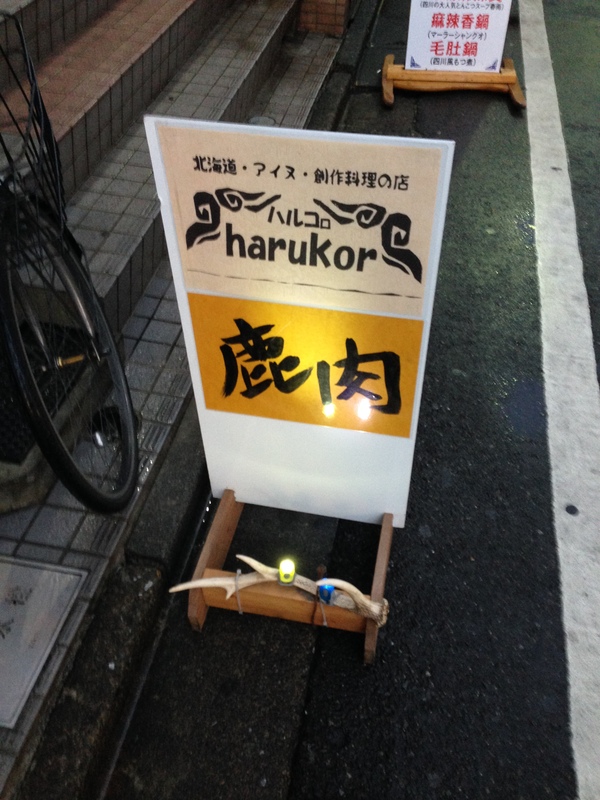 I had read on Wikitravel that there was a restaurant called Harukor specializing in Ainu (Eye-noo) cuisine in Tokyo which really piqued my interest. Why you might ask? 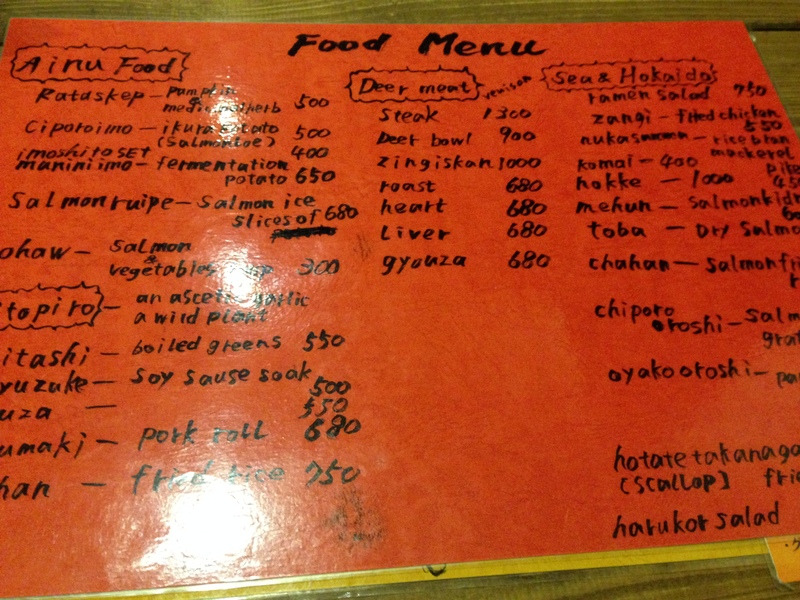 What the hell is Ainu food? Well, the Ainu are the indigenous people of Japan and Siberia who live all the way on the northern island of Japan called Hokkaido along with the Sakhalin Islands. They look different from the ethnic Japanese, but due to intermarriage they no longer retain their unique appearances. 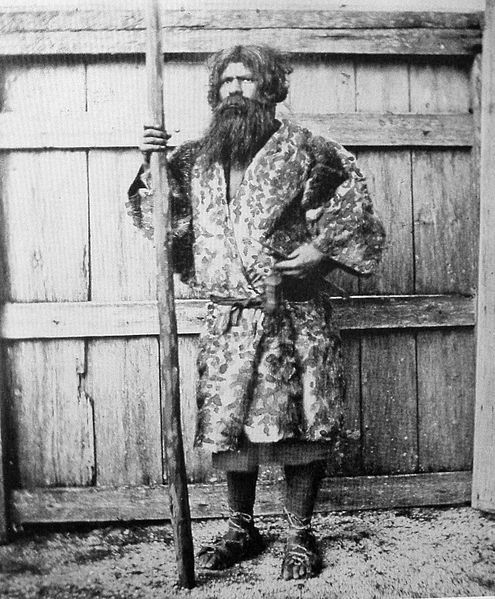 There are very few, if any, full blooded Ainu left, and they are subject to discrimination for their ethnicity. They’re known for being astute hunters along with rocking sweet beards and cool woven clothes with distinct geometric patterns. So I tried to follow the directions that Google Maps tried to give me, but it led me around in circles. So I asked a tiny, ancient Japanese restaurant owner where the restaurant was. He spoke no English, and I no Japanese. 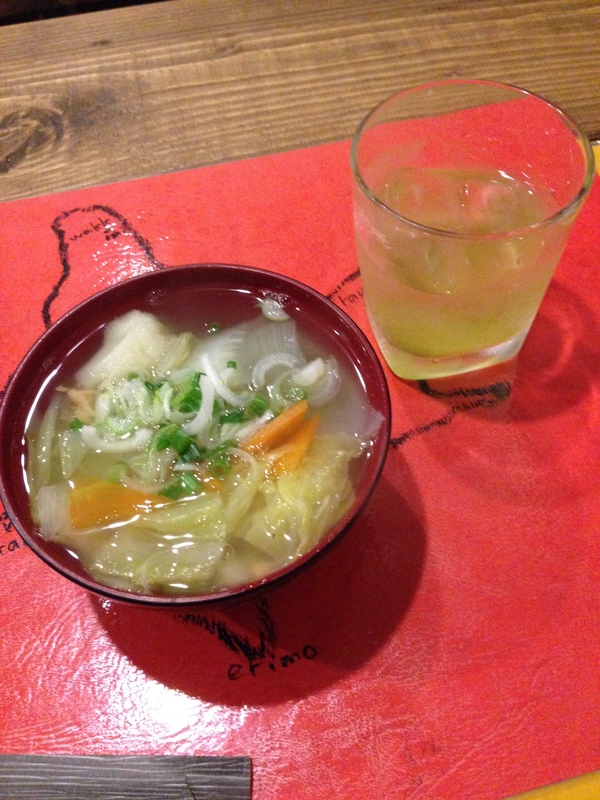 I just said, “Harukor, Ainu, food, Hokkaido”. He paused for a moment and proceeded to run down the street while beckoning me to join him. After about 10 minutes of running through the street, and people wondering why this giant foreigner had an octogenarian running partner, he showed me exactly where it was. Typical friendly Japanese hospitality. 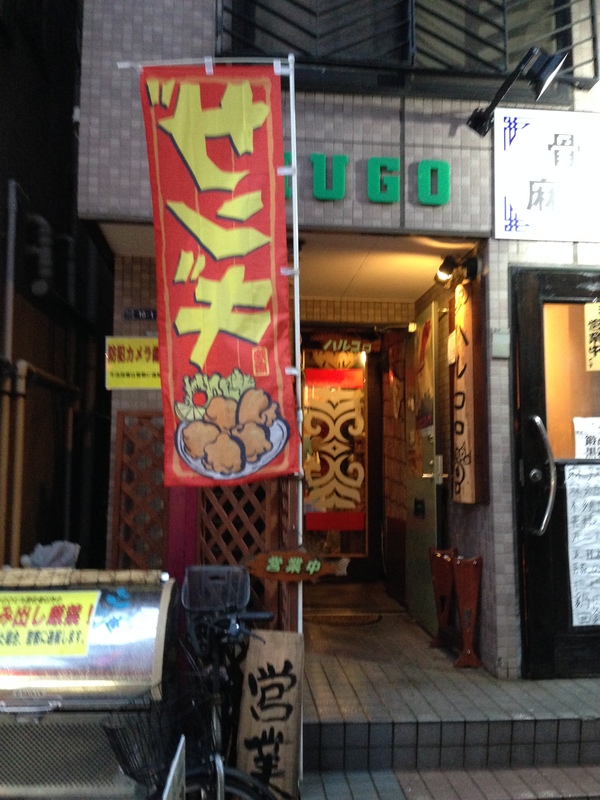 For those who don’t want to run with old Japanese guys on the way to your dinner, go to Okubo station and out the south exit. Make a left out the door and then a right and follow the road. It will be on your left. 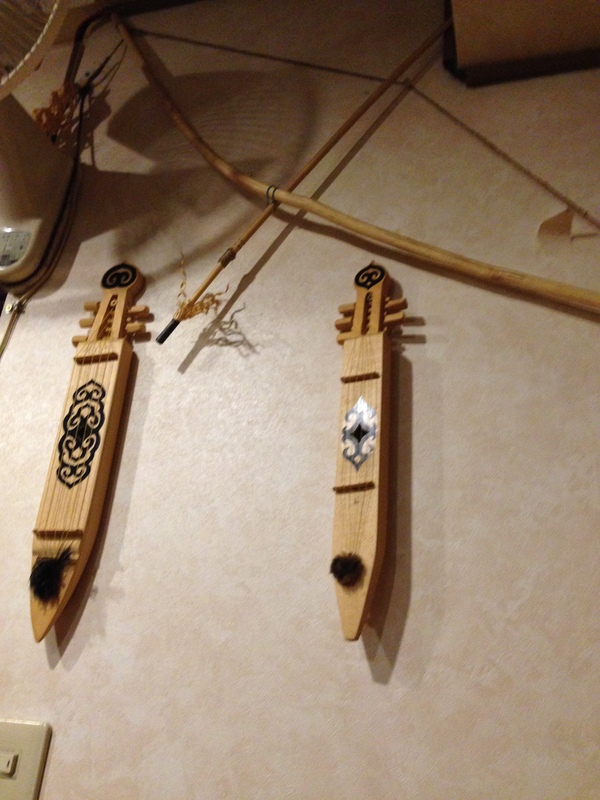 The actual restaurant space was quite tiny in comparison to the other places I ate at, but it had a lot of character with Ainu harp music playing on the speakers and various posters and items symbolizing the Ainu struggle. The guy running it spoke very little English, but realized I didn’t speak Japanese after staring at the all Japanese menu. He quickly busted out the English menu which I was grateful for. He poured me a cup of chilled green tea which was refreshing after a long day of hustling. 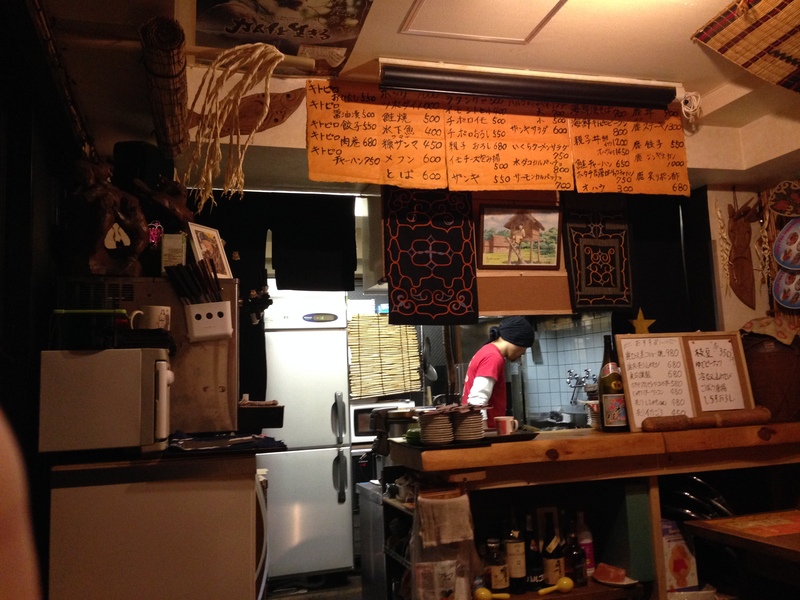 I eventually went for the imoshito set and the fish soup which are both Ainu foods. It reflected the humble culture these people have when the food came out. 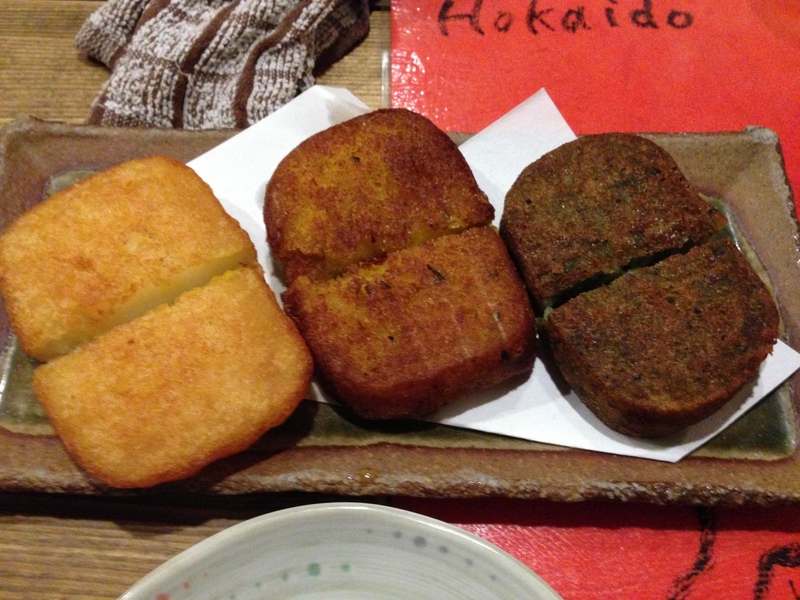 The set consisted of a fried potato, pumpkin, and yomogi which according to Wikipedia is Japanese mugwort. The potato one was quite good since it was creamy and even tempered like a fried potato should be. As for the pumpkin, it was a bit surprising because it was my favorite since it had the texture of the potato with a hint of sweetness that enhanced the rich breading. 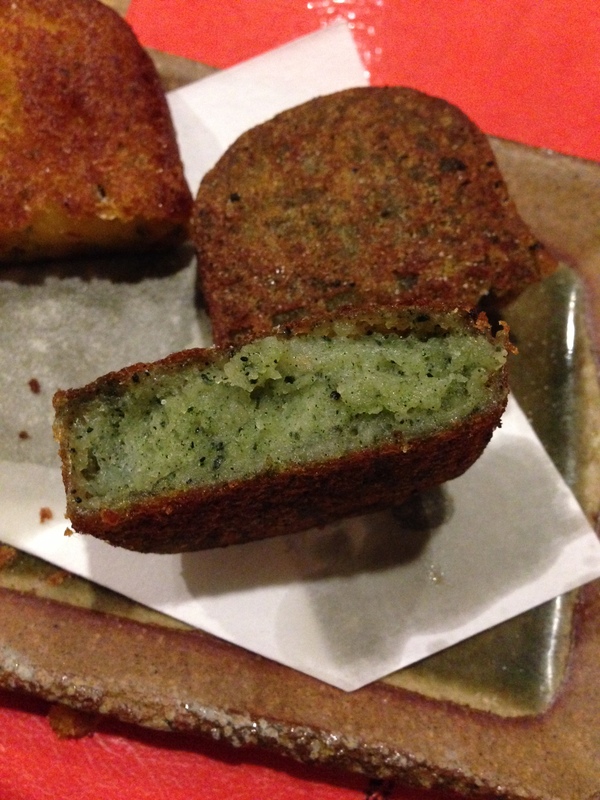 As for the yomogi, I personally liked it because it kind of had a sesame/perilla flavor to it. As for the fish soup, I was less enchanted because there was barely any fish to be found. It was more like a vegetable soup, but it still warmed my soul that night with steamed but not limp watercress, carrots, and celery. It was a nice experience at a place that not many people know about and even fewer about the culture behind the food. Then there was dessert at a separate place called Dairy Chiko. 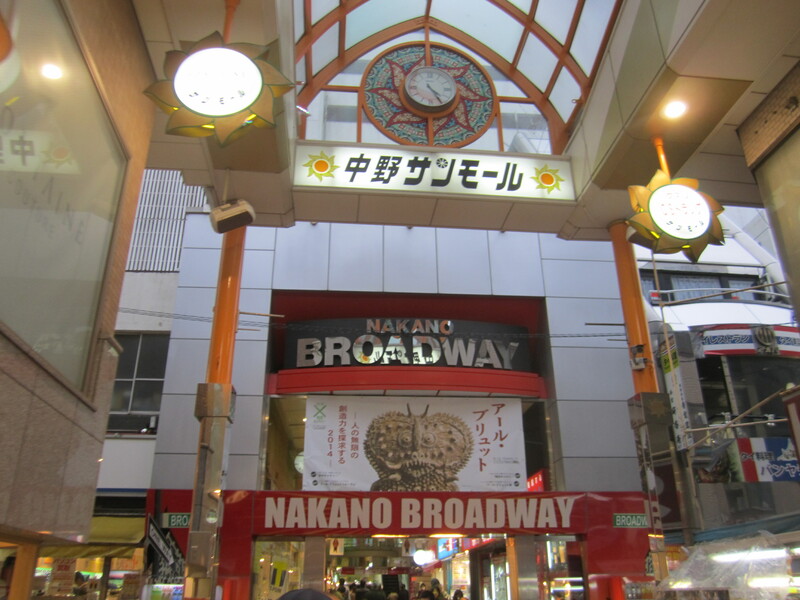 This place is located in the Nakano Broadway B1 floor. You just go north of Nakano station all the way through the covered market to Nakano Broadway, and wander in the basement until you find this booth. 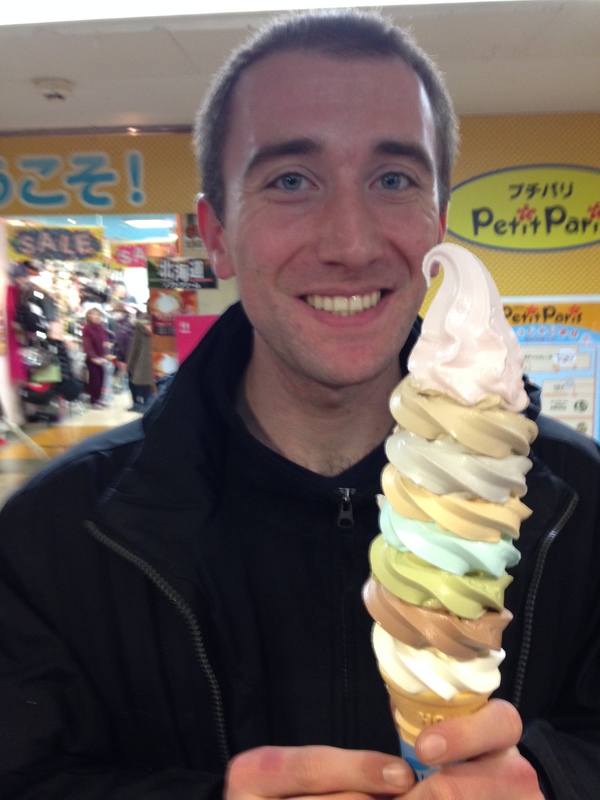 I came here to take down the eight layer cone which was a steal for 4 bucks. The guy working the machines was like an artist when he handed me my cone, but he warned me to stay by the garbage cans and hold it straight. I soon set to work on the elite eight flavors: vanilla, chocolate, strawberry, coffee, sesame, caramel, green tea, and bubble gum. Not only was there a ton of ice cream up top, but he filled it to the bottom tip of the cone. If I could pick a favorite, it would probably be the caramel layer (4th down from the top layer). It was completely worth it, and I highly recommend people to seek out Dairy Chiko. Posted in Far East Asian Cuisine, Japanese and tagged Ainu, Burger, cheese, chili, cider, cone, Fries, Hokkaido, ice cream, man, McDonalds. Bookmark the permalink. 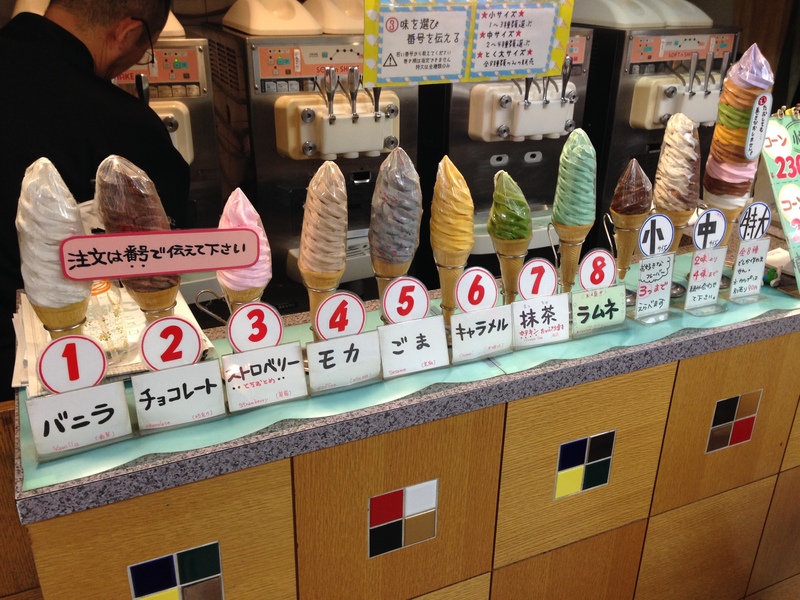 The ice cream looked great! Even in the cold, it looked like a picture postcard of how a ice cream cone should look. The short Japanece octogenarian is probably in the Senior Olympics. He was very nice to take you to the restaurant. Great job, as usual, Mark! Thanks for the support as always! 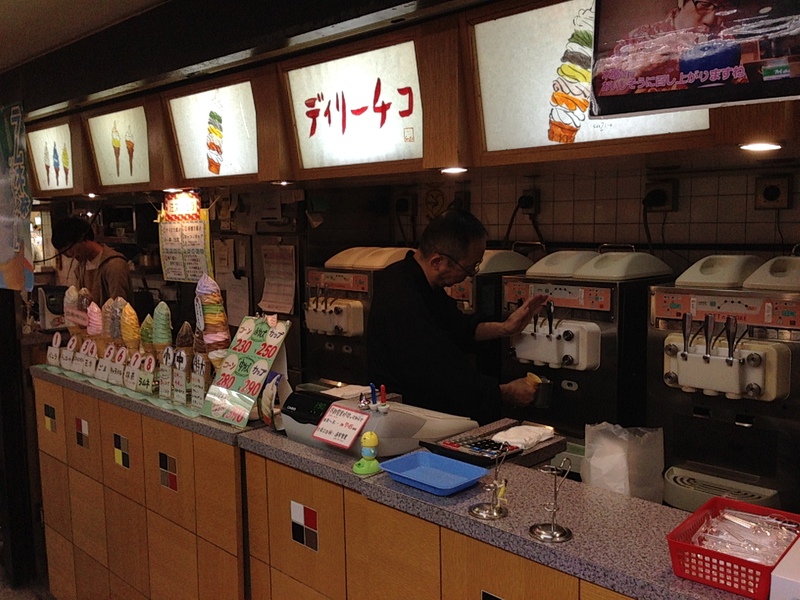 The ice cream was fantastic, and I wish they had it Stateside.